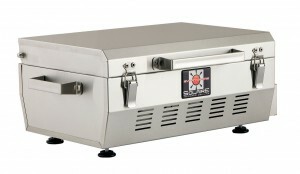 Professional chefs know that high heat is needed for superior results. 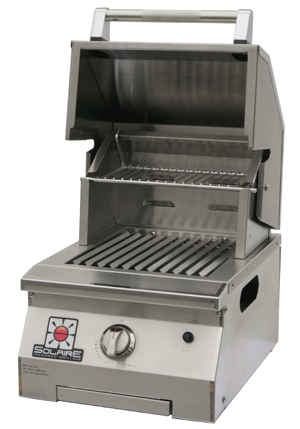 Solaire Infrared grills have the proper placement of well-designed infrared burners to deliver such high heat. 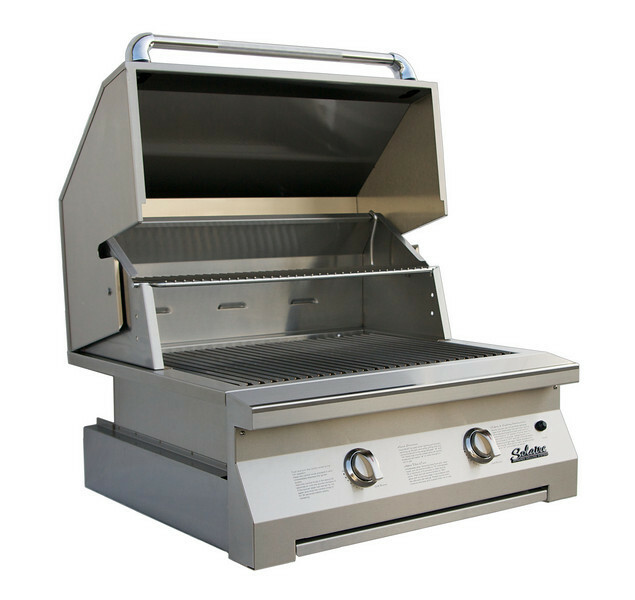 Now you can make your backyard your favorite restaurant with a Solaire infrared gas grill. Intense direct heat enhances natural flavor for succulence and taste that rivals the finest steak houses. 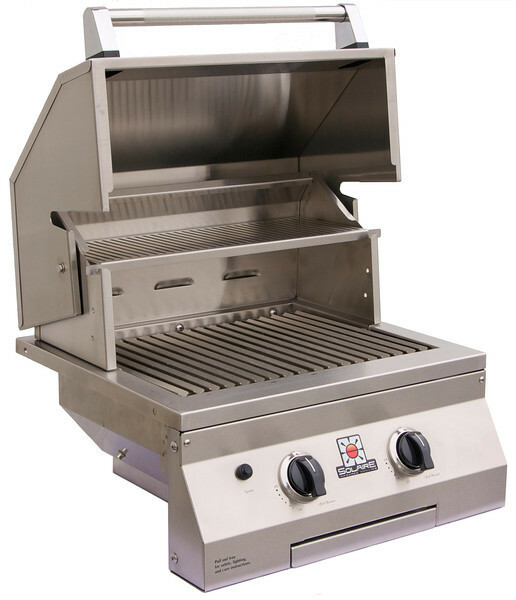 Traditional grill burners simply heat the air surrounding the food. The heated air is what actually does the cooking. 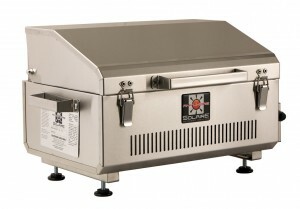 Unfortunately, this process takes most of the moisture out of the food as it cooks, leaving meat dry and tough. A Solaire infrared burner heats the food directly using infrared energy, which causes the juices of the food to get trapped inside. This is the secret of fine steak houses. Now you can achieve the same results in your own backyard. 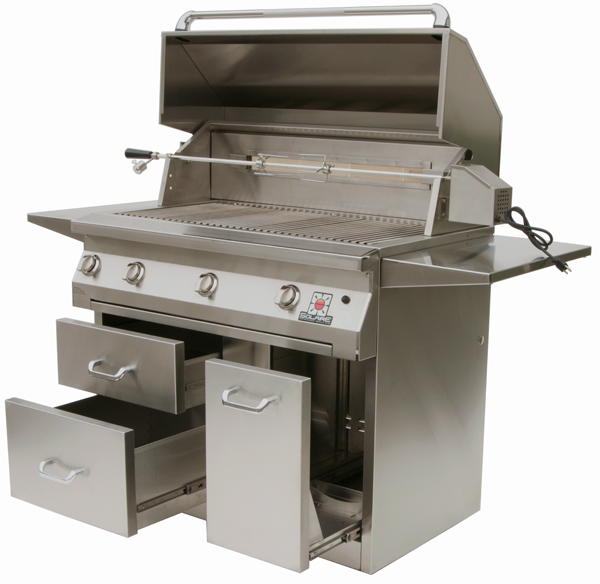 Solaire infrared gas grills are ready to grill in just 3 minutes and cook twice as fast as traditional burners. 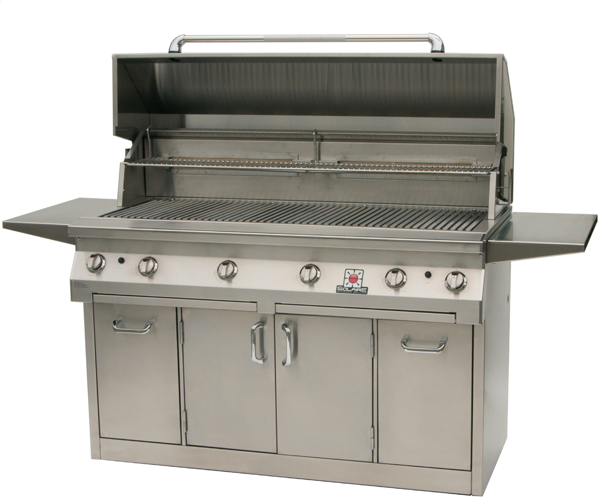 With shorter grilling times, grilling can become part of your everyday lifestyle, not just a weekend event. And since infrared heats food directly, not the air around it, grilling year round, even in frigid weather, is not a problem. 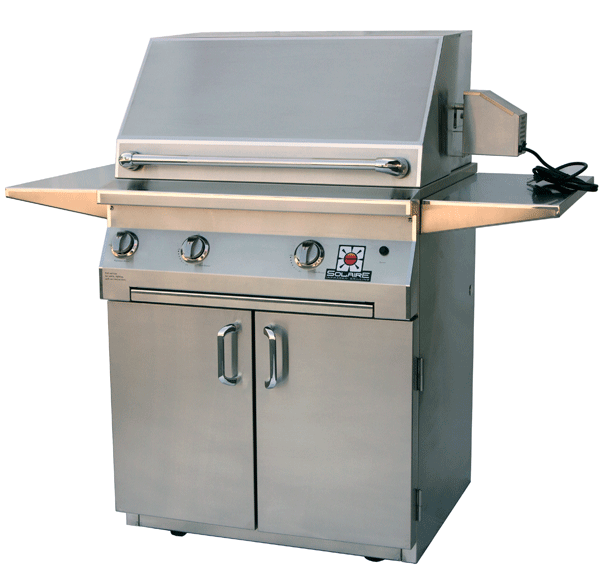 Our efficient infrared grills help keep your steaks moist and juicy. 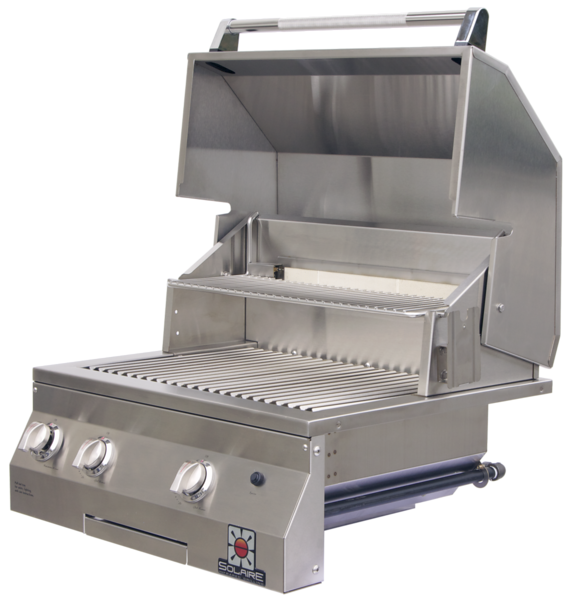 Because there is no secondary heat element to trap grease, flare ups are virtually eliminated. The natural drippings from the food are instantly vaporized and go back into the food as flavor-enhancing smoke. With traditional burners, much of the natural flavor is lost in the drippings as the food cooks. These drippings also cause flare-ups. Grill anything like a pro. From steaks, pork, burgers and chicken to fish, shellfish, vegetables and fruit. We’ve even grilled our Thanksgiving turkey on the Solaire, along with baking a pineapple upside down cake. The cooking possibilities are endless. 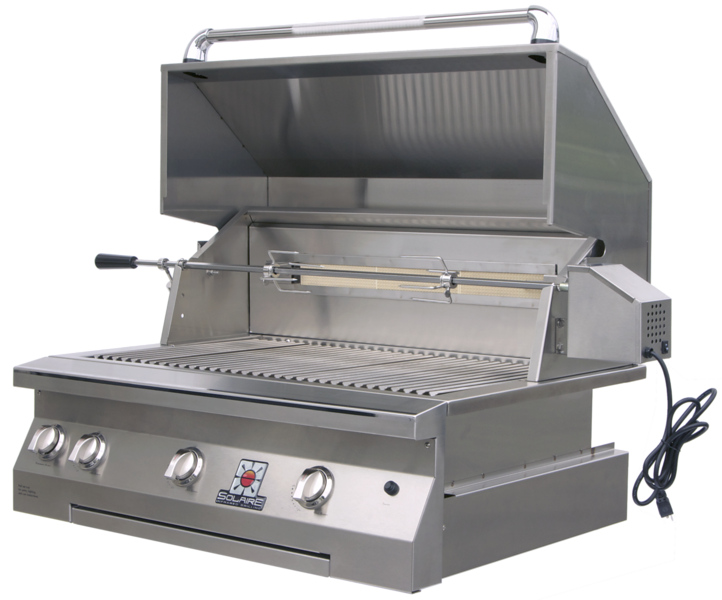 Rasmussen Ironworks / Solaire Grills is proud to deliver you a quality product that can grill most foods efficiently for maximum flavor. 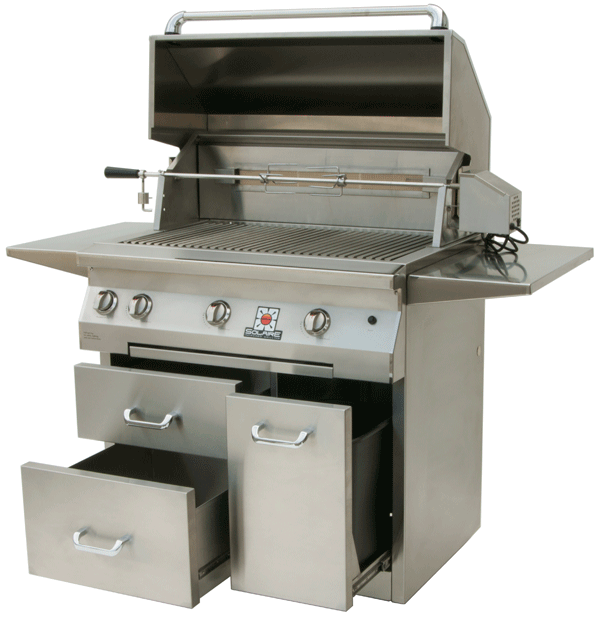 Get the great flavor of an intensely hot charcoal fire with the control, convenience and consistency of gas. 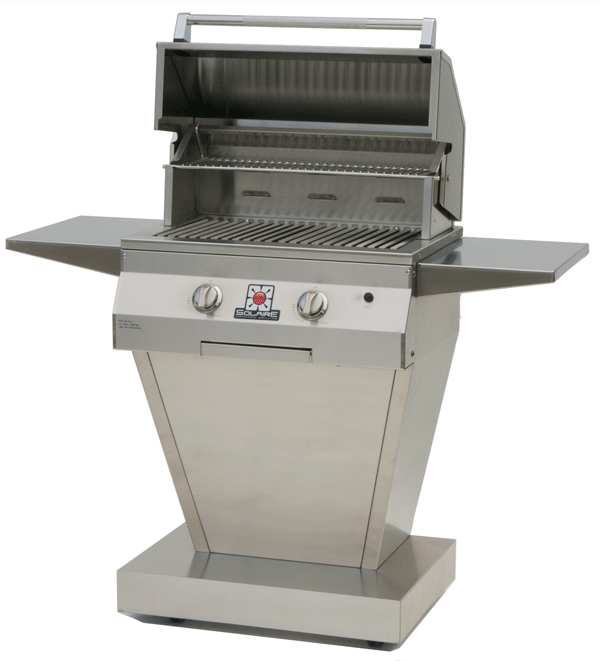 Hard-core charcoalers say that Solaire infrared gas grills deliver the closest taste to charcoal of any gas grill. Some have even said that they now have family members, neighbors, and friends constantly begging them to have a BBQ at their house. 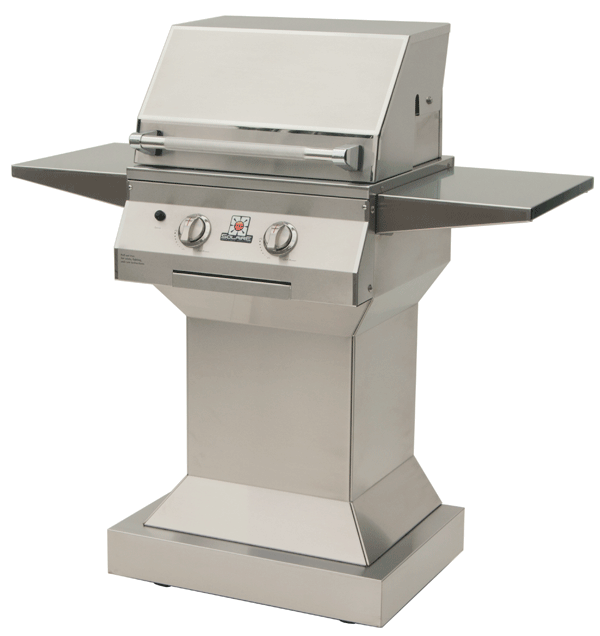 With a Solaire grill, you’ll be the envy of your social circle and the recognized grilling pro.